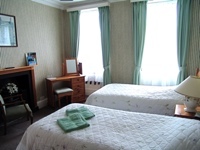 All our large ensuite rooms (shower and toilet) are comfortable and tastefully decorated, with all original features, fireplaces etc. 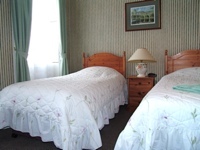 We also have two smaller standard rooms (3rd floor) and 2 bathrooms for them to share. 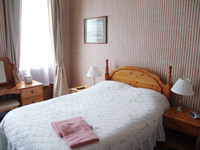 All have colour TV, tea and coffee making facilities, hairdryers and are fully centrally heated. We have a full fire certificate. 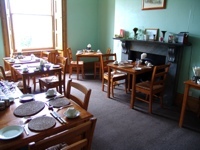 We have a large lounge/sitting room, situated on the first floor, with beautiful views over Bath with all original features, colour TV and large selection of books to borrow or buy, an iron and ironing board, extra tea, coffee and biscuits plus information and leaflets on Bath. Our non-smoking dining room is situated on the ground floor, a full English breakfast cooked to order or continental breakfast is included in our price.